Home 2019 ESC 2019: Where exactly are we going? 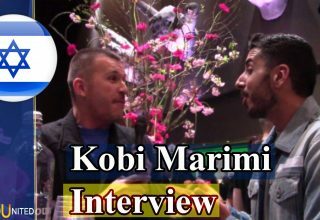 ESC 2019: Where exactly are we going? Any views expressed in this article are solely those of the author and do not represent ESC United as a whole, its staff or the views of the EBU and Eurovision. The 2018 edition of the contest has come to an end. However, let’s not let the Post Eurovision Depression hit us, and look forward instead! 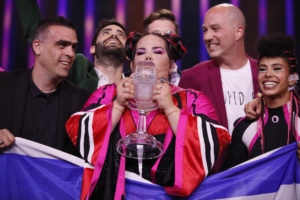 Once again, a big congratulation to Netta from Israel, for winning the song contest with her song “Toy”. 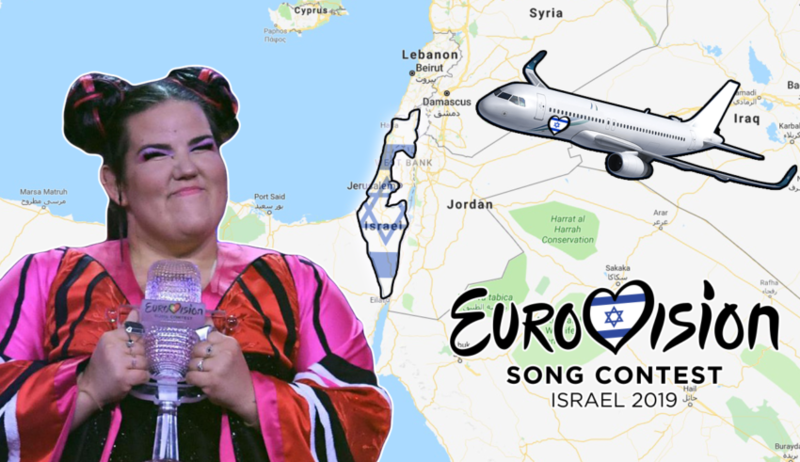 Thanks to that, the entire Eurovision land is now moving on it’s way from Lisbon to… somewhere in Israel. For Eurovision fans and followers, 2019 doesn’t start on 1st January. It started the moment Israel were crowned as winners. Before we start, I’d like to point out, that this is meant as a useful article, that will point most things out, and what else to expect. This is all viewed from a neutral side, and is just stating some facts and information, that I’ve found around online in the past few days, so hope we’re all cool and good to go. Why now? There is like 1 year until it all happens again. Yes, yes, yes… listen, if you don’t do it now, you’ll probably never do it. Then again, what do I know? You might be an experienced Eurovision person, and you might know already what you’re doing, but if you aren’t, you’ll probably be happy for these tips. If you plan to be in Israel during the contest period, you want to get yourself ready as soon as possible. First of all, Israel is not exactly your typical Middle Eastern country, it is expensive… VERY expensive! Book some hotel rooms now, and save yourself some cash for all of the parties. Also, Israel have many political enemies as they have allies, so expect the 2019 edition to be one of the most closely-guarded contests of all time. Be sure to check which rules count for you and how you can enter the country, and here I’m speaking from my own experience. Israel is a rather small country, and the largest cities are closely located to each other, so transport to the host city should not be a problem. 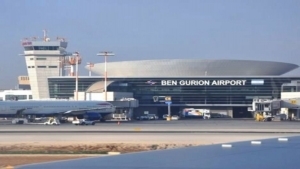 Most likely, the airport you’ll end up at is probably going to be Tel Aviv-Ben Gurion Airport. There is also Eliat-Ramon Airport & Haifa-U. Michaeli Airport, which are also international airports, albeit minor. I personally don’t know what to say when it comes to transport, since I walked mostly when I last was in Israel, but do avoid taking a cab! You should be all good during Eurovision when it comes to transport, since there are many Israeli Eurovision fans, so if you run into one, you can count on them. Some years ago, we would easily just assume that we’d be heading to either the capital of the country or the largest city, and this was also the case normally. 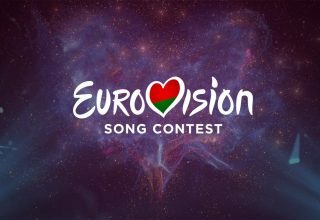 However, organizing the contest has changed a lot over the years, and after 2011 & 2013 especially, we need an official confirmation from the host country and the EBU. I’m highlighting 2011 & 2013 for good reasons, 2011 because Germany is a big country, with multiple cities that have the infrastructure to host such an event. (Hotels, transport, airport, etc.) While Sweden in 2013, was expected to pick Stockholm, but surprised everyone announcing Malmö as host city, to make the contest cheaper to organize, especially after Baku went all in on hosting in 2012 (Baku Crystal Hall was specially build just for Eurovision). 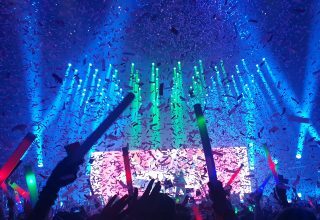 Nowadays, after the winning country is announced, multiple cities will then stand in line and fight for the possibility to host the contest, if they can afford hosting such an event that is. Already now, we have heard about 3 candidate cities in Israel, which have expressed their possibility to host the contest, with a total of 5 possible venues. From the current possibilities, 3 of the 4 venues are football stadiums and all 3 pose the same problem; none of them have a roof. Not only that, but the capacity of these 3 venues are also rather high, compared to the recent editions, except with Turner Stadium. 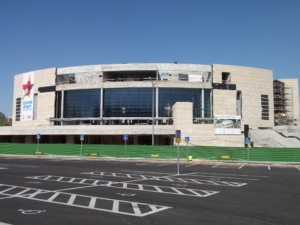 Then we have the Pais Arena, which is located in the leading choice of Jerusalem. However, while doing all this research, just for this one article(! 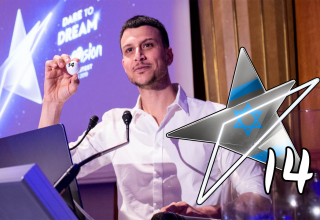 ), the mayor of Tel-Aviv, Ron Huldai, announced that Tel-Aviv is not interested in hosting the contest. 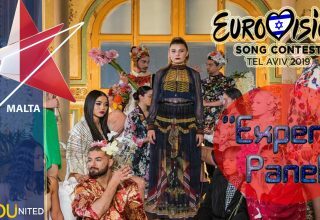 Despite the announcement by Netta on stage after winning, that the contest would be in Jerusalem and even with the prime minister of Israel, Benjamin Netanyahu, also claiming that the contest will be in Jerusalem, we still need the approval of this decision by the EBU. After all, it is the EBU and the host broadcaster that is in charge, and are the ones who are responsible for selecting the best suited possible venue. Well, just by mentioning the name of the country “Israel“, makes it indeed a very big deal, and as much we all just wish to keep it all about the music, then this can end up being the biggest political contest to date. For starters, this is Israel’s 4th Eurovision win, but will be the 3rd time they host it. They previously hosted the contest in 1979 & 1999 (See you in 2039 as well, maybe? ), and even back then it was controversial. In 1979, some countries didn’t take part for political reasons, the show was still young back then and didn’t attract as much attention, compared to their win some days ago. Yugoslavia stated that they didn’t wish to take part, due to political reasons, and even Turkey withdrew as well. In the case with Turkey, they were planning on taking part, but with pressure from the Arab states surrounding the region, Turkey was forced to withdraw. 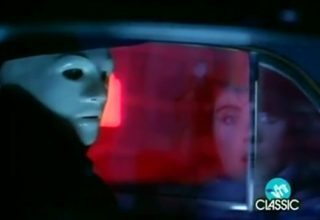 Incidents about Israel hosting in 1999 also took place, with Dana International winning the year before. Dana being transgender sparked major protests from orthodox Jews who wanted the contest removed from Israel. However, both editions of the contest in 1979 & 1999 were still held in Jerusalem, despite all the controversial stuff that it sparked, and with that in mind, then we shouldn’t be worried about the contest in 2019. Then again, as modernized the world has become, with anyone having access to any sort of info any time they wish, and even knowing what happens around the world 24/7, could be one of the major problems for Israel hosting the 2019 contest, and the main reason for why it will be as political as it already is. Through social media and news outlets, anyone can pretty much voice their opinion, and already now politicians and political parties from different countries, such as Ireland, France, Iceland & Sweden, have already suggested that the contest should be boycotted next year. Why, well… to be fair, I’m pretty tired of all these stories being told over and over again, and the longer all the conflicts lasts, the more the stories will be told. If I have to do it short, then it’s all because of religion and after what happened during World War II. 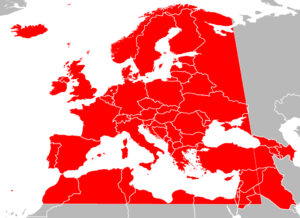 Despite that, a country can still only take part, if the broadcaster is within the EBA (European Broadcasting Area). If a country fulfills these few requirements, then they are permitted to take part in the contest. (Australia is just a special case, but let’s not get into that, since they aren’t the point of this topic). Israel fulfills all the requirements, and so is allowed to take part in the competition, as well as hosting it, whenever they win. Even some African and other Middle Eastern countries are allowed to take part and can if they wish, the reason they don’t is because of… you guessed it, Israel. Israel even won the contest in 1979 on home soil, but were forced to decline hosting it again due to economic difficulties and even withdrew from the contest, since the contest was planned to take place on Israel’s Day of Remembrance. This, in contrast, made the debut for Morocco in 1980 a possibility, and remains the only year when Morocco has taken part. Tunisia planned to participate in 1977, and Lebanon almost took part as well in 2005, but both withdrew due to their law of not showing Israeli content on television. With all this said, then Israel is therefore following the rules, and are indeed allowed to host the contest next year, and it is also quite dumb that some certain people complain about this, when it’s too late. When a country take part in the contest, the chance of winning is there. Anyhow, it’s not up to the politicians who take part, but the public broadcasters around Europe. Then again, let’s take a look back on the 2017 contest. 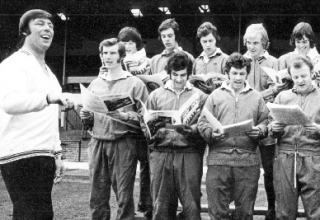 Israel made their debut in 1973, and has participated since with some few exceptions. However, from 1973 until 2017, Israel was able to compete due to IBA (Israel Broadcasting Authority) being a EBU member. The last show IBA aired on their channel, was actually the 2017 contest. 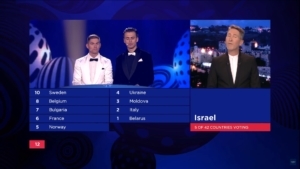 The broadcaster was shut down after the contest had finished, and even during the voting in 2017, when it was Israel’s turn to announce their jury votes, the spokesperson of Israel, Ofer Nachshon, bid farewell to Europe on behalf of IBA. 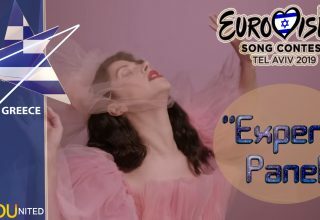 After this, many misunderstood the farewell, as 2017 being the last time Israel would compete in Eurovision, which was not the case as we all saw. However, this did leave Israel with no stations being an EBU member, and therefore shouldn’t have been able to compete this year. 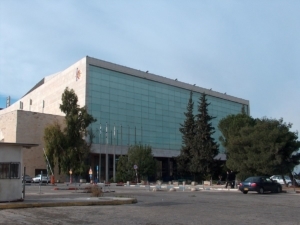 The EBU made a deal with the new broadcaster IPBC (Israeli Public Broadcasting Corporation) that they could take part, with the broadcaster holding an interim membership. Technically then, Israel shouldn’t have been able to compete this year, but the EBU granted them special dispensation, so they could continue their participation. This is not the first time the EBU has done such, this also happened with Greece, after their broadcaster ERT was dissolved in 2013. The new Greek broadcaster NERIT was also given an interim membership, until 2015 when ERT was restored. There is no special treatment solely given to Israel, all the rules are followed, so we just gotta deal with the things as it all is right now. Okay, so how’s it looking so far? Looking back on everything that has been said so far, then let’s all just relax, take a deep breath and think that everything is going to be just fine. Israel has hosted the contest before, the politicians are not in charge of it all, it’s all fair games and I’m even pretty sure to say, that it’s going to be a great time in Israel. Like we always say to ourselves, it’s a song contest, it’s an annual party and a celebration of diversity. The current total of participating nations is on 15, and it is also expected that the number of participants will rise in the months to come. 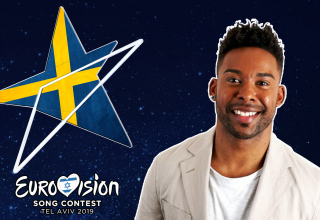 As always the contest will be held in the month of May, but the EBU has not revealed anything about the exact dates for the contest, but considering it’s Israel that will host the contest, then the Jewish calendar might be taken into consideration. “Yom Ha’atzmaut” will be held on the 9th of May 2019, while “Lag Ba’omer” will be held on the 23rd of May 2019. Both days are Thursdays which is when the Second Semi-final normally takes place. It is therefor only for now expected, that the contest will take place on the 14th, 16th & 18th of May 2019. Finally, there is also the weekly “Sabbath“, which is the rest day for the citizens and is considered holy as well by the Jewish population. How the contest is going to be scheduled is certainly uncertain at this point. Despite the difficulty with the schedule for the contest next year, rumors have been pointing towards that the contest might be held on the 21st, 23rd & 25th of May. Official confirmation is still needed from both the broadcaster and the EBU. (*) – Originally the Icelandic broadcaster RÚV had originally confirmed their participation for the 2019 contest, but after recent events surrounding the Middle East nation, more and more citizens of Iceland have also now considered boycotting the contest in 2019. An online petition has already gained more than 20,000 signatures for the Icelandic broadcaster to withdraw from the contest. The road to Israel from this point will obviously be very controversial and politically influenced. Yet that is not what we as Eurovision fans stand for, and all we can do is hope that the EBU stand by the their ground and avoid any sort of manipulation from outside sources. Traditions and rules have to be respected indeed, but both sides need to find the best possible solutions for all groups and individuals involved. Should the contest take place in Jerusalem, then do respect the status of the city, as a holy city and avoid any conflict with any groups that are unrelated towards the contest. In general, just be respectful and honest if you wish to avoid trouble. As I mentioned at the beginning of the article, I am speaking from my own point of view and experience as a former tourist in the country. I payed a visit to Israel back in 2015, just as a vacation trip and I had to prepare myself on any given possibility. I was actually back then held back by the security guards when I landed in Tel-Aviv, they had to check me and make sure that I was not an outside threat in any sort. This should most likely not be a problem if you decide to visit Israel for Eurovision, but again just be prepared and don’t hide anything. I was still interrogated solely due to my father being from Iran, despite the fact I don’t hold dual citizenship. Just enjoy the contest, enjoy the parties and have fun. The contest should be like any other contest that we’ve had in the past! What do #YOU think about all of this? 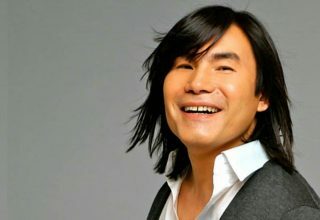 Do #YOU believe that this will turn out a successful contest? Share your thoughts with us on our forum HERE or join the discussion below and on social media!